If you didn't already know Glamour Magazine created an exclusive collection for Very.co.uk! The collection has a timeless appeal with a bit of Glamour's signature pink thrown in there in the form of a cute tutu (my favourite!) . It adds a bit of fun to the range and I literally can't wait to see what's to come next out of the collaboration. They've magically managed to include all the wardrobe staples and made it accessible and attractive to many different women. So if you haven't done so already, check out the collection - Jo Elvin herself gives a video for each item in the collection! For the launch of the collection I was fortunate enough to be invited to the Google+ Hangout with Glamour, Very.vo.uk and some really influential fashion bloggers! YES I was star-stricken. Being in a virtual room with Frassy, StyleSuzi, Fashionista Barbie and the Fashion Team at Glamour including Jo Elvin, the editor was a dream. The bloggers got a chance to exclusively interview the Glamour team which included Jo Elvin, Charlotte Anne Fidler (creative and fashion director) and Emer Dewar (Editor and Large) and we chatted about the vision of the collection, the inspiration and we explored how this wonderful collaboration arose. Here's the YouTube vid of the Hangout! I've also been sporting my new Glamour collection pieces a lot since they joined my wardrobe and will be doing a post about the different ways to wear the tutu! Today I'm Wearing the Tutu! wow I love this collection! 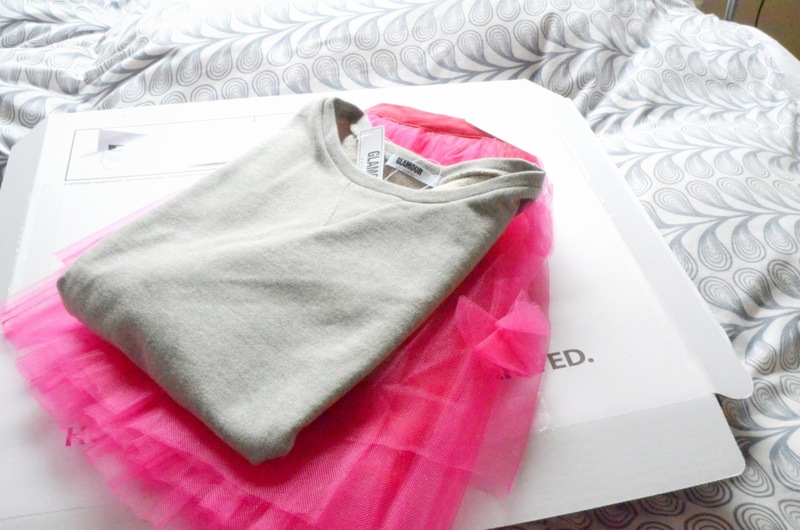 The tutu is amazing!